The ASCE Board of Direction did nothing short of face down the future of the entire civil engineering profession at its March quarterly meeting in Arlington, VA. The goal is to take the lead in shaping that future, not merely reacting to it. • The Board voted to move forward with the first phases of the Future World Vision project. Led by ASCE’s Industry Leaders Council, the project will explore and assess an array of future possibilities, then visualize what civil engineers’ role will be in 50 years, so that work toward making that a reality can begin now. • Kenneth Fridley, Ph.D., F.ASCE, provided the Board with information about the third edition of the Civil Engineering Body of Knowledge, a book developed by ASCE members outlining the knowledge, skills, and attitudes essential for entering into professional practice. ASCE members are encouraged to comment on a draft of the third edition. • A panel discussion – Shaping the Future: The Role of the Profession and ASCE – followed, featuring committee chairs and academies, building upon Ressler’s talk. • Roy Wright, FEMA deputy associate administrator for insurance and mitigation, also led an engaging discussion on resilience and risk mitigation in the wake of last year’s devastating hurricanes and wildfires. The Board voted to support recommendations from the Raise the Bar Committee to refine the initiative’s strategy to promote increased educational standards for civil engineers practicing professionally. ASCE will seek to affect change in areas where it has greater control, such as specialty certifications and member-grade requirements, and is exploring the development of a new credentialing system that would recognize fulfillment of the Civil Engineering Body of Knowledge. 1. Civil engineers develop and apply innovative, state-of-the-art practices and technologies. 2. All infrastructure is safe, resilient, and sustainable. 3. ASCE advances the educational and professional standards for civil engineers. 4. The public values civil engineers’ essential role in society. 5. 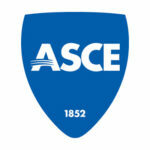 An ever-growing number of civil engineers are members of, and engage in, ASCE. 6. ASCE excels in strategic and operational effectiveness. Over the last several months, the Board Strategic Advisory Council gathered member comments on the best strategies for accomplishing those goals, including those of attendees at the Multi-Region Leadership Conferences, and from other stakeholders including ASCE Institute members and the Industry Leaders Council. Based on that feedback, the Board debated possible strategies for each of the six goals and approved more than 40, with five identified as focus strategies. With a strategic plan approved, the focus now turns to implementation. Yes. The comments are constructive. with innovations, if not with inventions. I very much appreciate the work ASCE Board is doing, but as a civil engineer involved in both R&D and cutting edge research, I do not see any interest or focus on these items by ASCE like other professional societies do. ASCE Board should have a good representation of people in areas that I belong and have interest in and there should be easy path to join this distinguished group. I personally have had the opportunity to head EMD now EMI and ExCom of SEI, but after that the doors sort of close. ASCE would certainly become a better representative of the needs of its broad membership by opening these doors. I will be happy to further discuss this with anyone who may find these comments worthy of further dialogue.